We are looking for a local trustworthy person with a full driving licence to work from our Wickhambrook based business (CB8 8UN). The role includes: boiler servicing, breakdowns, installs and tank installs. Salary negotiable to the right person with a company van and further training. Wow, we now have 169 reviews on Checkatrade.com! Our positive feedback and reviews speak volumes. Why not check us out here! 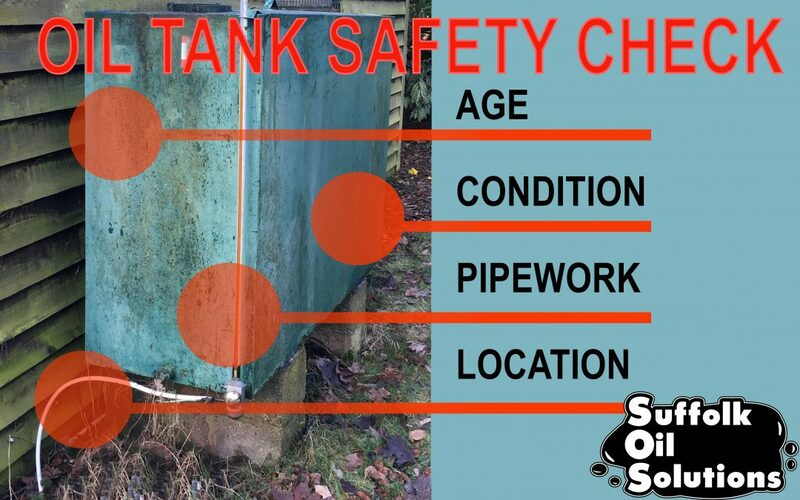 Check your oil tank now! This is a real risk to both the environment and your pocket. Some household insurances do not fully protect you in the event of an oil spillage, just 2 litres of oil can cause serious damage. 3. Is the tank distorted at all? 4. Are there any signs of corrosion or cracks? 7. Have you had your annual Oil Tank Service? As recommended by Oftec, having your oil tank serviced annually is hugely beneficial to check the integrity of your tank and pre-empt any problems and therefore leakages. Some thatched or listed buildings require this for their buildings insurance too.